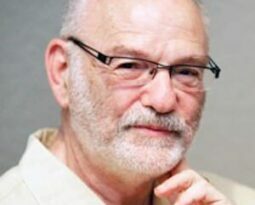 Wendell Wallach is an internationally recognized expert on the ethical and governance concerns posed by emerging technologies, particularly artificial intelligence and neuroscience. He is a consultant, an ethicist, and a scholar at Yale University’s Interdisciplinary Center for Bioethics, where he chairs the working research group on technology and ethics. He is co-author (with Colin Allen) of Moral Machines: Teaching Robots Right from Wrong, which maps the new field variously called machine ethics, machine morality, computational morality, and friendly AI. His latest book is A Dangerous Master: How to Keep Technology from Slipping Beyond Our Control. Wallach is the principal investigator of a Hastings Center project on the control and responsible innovation in the development of autonomous machines.